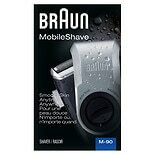 Braun's MobileShave, Braun's smallest electric shaver, makes it easy and convenient to restore a freshly groomed appearance whenever and wherever you need to look your best. Thanks to its compact size and powered by 2 AA batteries it can easily be used at work, in the car, or even on short holiday trips. 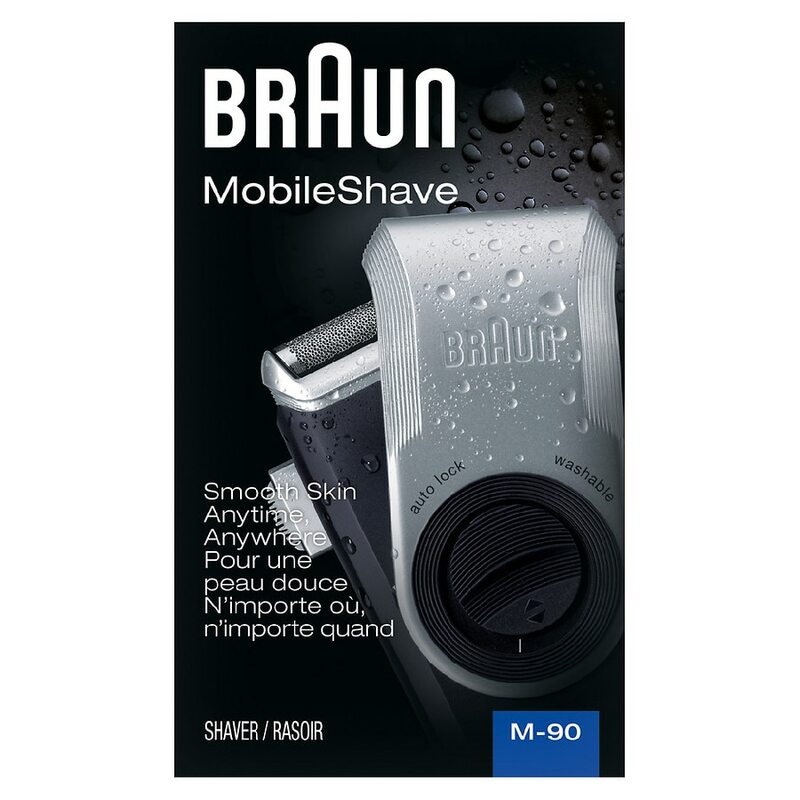 The M90 also includes a precision trimmer. 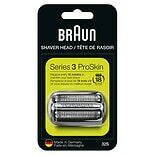 Shaving: Turn the twisting protective cap until it clicks in place. To switch the shaver on, push the on/off switch up. 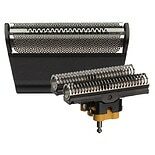 Long Hair Trimmer: To operate: Slide the long hair trimmer to the right and turn on the appliance. After use: slide it back until it engages.